Human Rights Watch (HRW) has warned Israeli banks of persisting in funding illegal settlement activities in the occupied Palestinian territories of the West Bank and Jerusalem and contributing to human rights violations against the Palestinians. Despite their claims, Israel’s largest banks are not required by domestic law to provide many of the services and financing that help support, maintain, and expand unlawful settlements in the occupied West Bank, including east Jerusalem, HRW said in a report released on Wednesday. “In doing so, these banks violate their international law responsibilities to avoid contributing to human rights and other abuses, including unlawful land seizures, discrimination against Palestinians, and de facto annexation of the West Bank by Israel. Without these banking activities, settlement maintenance and expansion would be more difficult,” its report stated further. 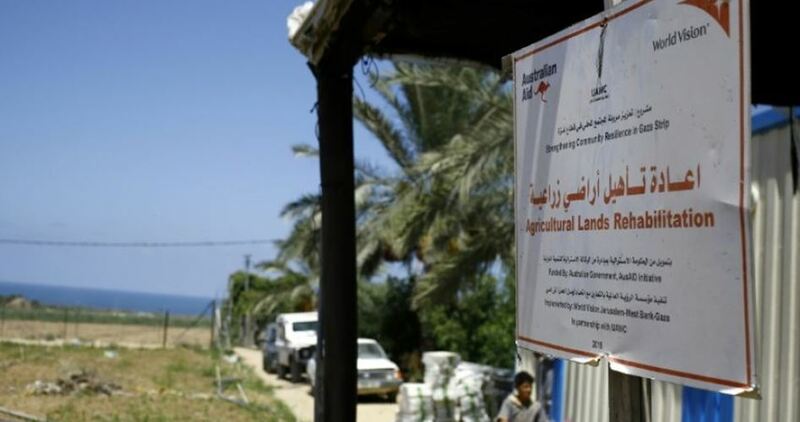 “Israeli banks are financing settlement construction and facilitating settlement expansion as a matter of choice, not because they are somehow required to do so under domestic law,” Sari Bashi, HRW advocacy director in Israel and Palestine, said. Bashi stressed the need for institutional investors to insist that Israeli banks clarify the extent of their involvement in settlement activities. 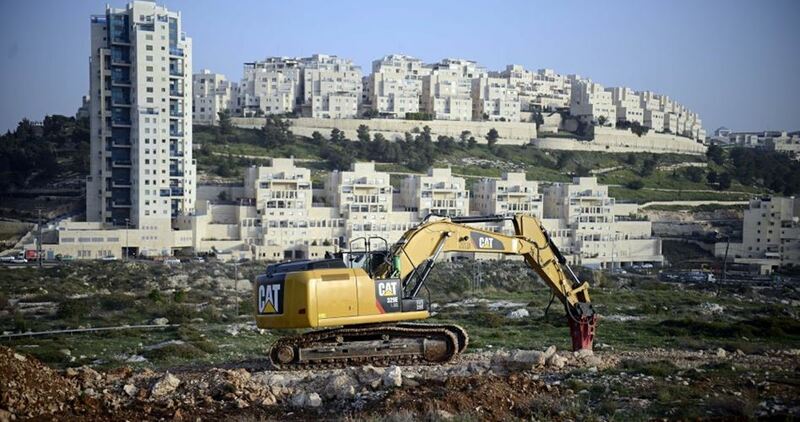 For years, some foreign investors have raised concerns about the involvement of Israeli banks in furthering settlement maintenance and expansion, including by financing construction projects, providing loans to settlement councils, and operating bank branches there. Investors such as the United Methodist Church pension fund and the Dutch pension fund PGGM have divested from Israel’s five largest banks, citing their involvement in settlements as being inconsistent with those funds’ human rights policies. “Settlements are unlawful under international humanitarian law. They contribute to the Israeli authorities’ discriminatory regime in the occupied West Bank, restricting and stunting Palestinian development while subsidizing and supporting Israeli settlements built on land unlawfully seized from Palestinians,” HRW underlined. International humanitarian law forbids an occupying power from using land except for limited and necessary military purposes or for the benefit of the local population living under occupation. Israeli daily Haaretz reported, according to Ma’an, that representatives of Amnesty International will be summoned for a hearing at Israel’s Finance Ministry to discuss a move that would strip Israelis who donate to the organization of any tax benefits in Israel. According to the group, they had only become eligible for tax benefits last October. Amnesty International recently launched a campaign to convince the international community to implement a full boycott of illegal Israeli settlements across the occupied Palestinian territory, marking a major boost to the BDS Movement, which Israeli authorities have been bent on eradicating. BDS targets companies that act in compliance with Israel’s occupation of the West Bank, including East Jerusalem, and encourage supporters to avoid buying Israeli products in order to put pressure on the Israeli government to end the half-century occupation of the West Bank, including East Jerusalem, and the decade-long Israeli siege on the Gaza Strip. 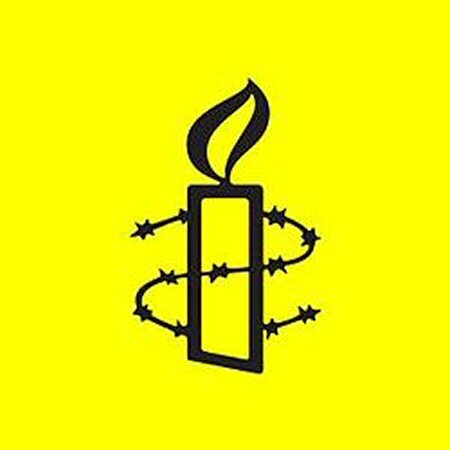 “Taking punitive action against Amnesty International over its settlements campaign would constitute a brazen attack by the Israeli authorities on the organization’s legitimate human rights work. It would also be the latest effort by the authorities to silence human rights organizations and activists who criticize the Israeli government and call for accountability,” Mughrabi added. In the statement, the group reiterated the stance of the international community that Israel’s settlements on occupied Palestinian territory are illegal under international law, and that Israel’s settlement enterprise has “contributed to decades of mass suffering and violations” in the occupied Palestinian territory. “An end to the settlement enterprise is essential to ending the mass violations suffered by Palestinians living under Israel’s occupation,” Amnesty International added. Israeli authorities have targeted human rights groups active in the occupied Palestinian territory, attempting to stifle their work in various ways. The anti-boycott law has marked a serious escalation of such attempts, with several pro-Palestinian activists being barred from entering the country in recent months, including Jews who are participating in the boycott movement. “This is the most dangerous decision taken by the Israeli occupation authorities against Al-Khalil since 1967. We will not recognize this decision and we will face it internationally and at the United Nations," said Taysir Abu Snina, the mayor of Al-Khalil, commenting on the decision of the Israeli occupation authorities to allow settlers in the heart of Al-Khalil to form a municipal council to manage their affairs, after these powers were in the hands of the Al-Khalil municipality only. 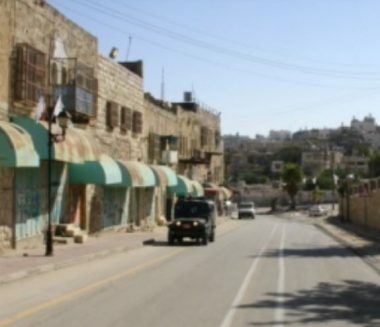 The decision to form a municipal or administrative council for settlers in the heart of Al-Khalil will consolidate and legitimize the existence of Jewish-only settlements in Al-Khalil and will have serious repercussions for some 40,000 Palestinians who live in the Old City of Al-Khalil and in the southern region of the West Bank. This racist decision will provide services to neighborhoods located inside an area, which includes 21 Israeli military checkpoints. The services provided by the new council will include Israeli settlers and Palestinians. The number of Palestinians in this area is about 40,000 according to the reports published by the Al-Khalil governorate. At the same time, some 450 armed settlers, 200 religious Jewish settlers, and 150 students and schoolchildren live there. The danger of the decision, according to many politicians, is that it includes the Palestinians there as well. Dr. Khaled Fahad Al-Qawasmi, a member of the Al-Khalil Municipal Council and the former Minister of Local Government, noted that this Israeli decision is a blow to the Al-Khalil agreement signed in 1997, which gives full administrative control for the Palestinians in the city of Al-Khalil and grants absolute powers to the Al-Khalil Municipality, which also covers Israeli settlements. H1: Security and administration are assigned to the Palestinians. H2: Joint Palestinian-Israeli security control and administrative Palestinian control. C: The administrative issues are assigned to the Palestinians while security issues are assigned to Israel. International forces should monitor this agreement and they should be under Palestinian control, and their headquarters should be in areas controlled by the Palestinian security. For his part, Abduhadi Hantash, a specialist in settlement affairs, said that many risks are involved in this decision. The most important of which is that the new settlers' council will extend its influence over the southern area known as Area C, including granting construction permits and providing Palestinians with water and electricity. He noted that the records of land in the southern region and the old town would become in the hands of Israeli settlers. Hisham Sharbatati, a settlement researcher, warned of the dangers of the municipal council project in the heart of Al-Khalil: “What the settlers are seeking after this unjust decision is that their municipality has the power to own or confiscate real estate under the pretext of providing public services, in addition to imposing high taxes and issuing demolition notices to buildings that are built without permits”. The Islamic Resistance Movement, Hamas, condemned the decision. Its spokesman Abdullatif Al-Qanoua said in a press statement that granting the settlers the right to form a council to manage their affairs and provide municipal services in the city of Al-Khalil is a dangerous decision and crosses all red lines. Al-Qanoua called on the international community and the UN institutions to bear their responsibilities, and to abandon silence and pressure the occupation to stop its crimes and violations. He called on the Palestinian people to confront the occupation’s plans and its decisions with all possible means. Fatah, the Palestinian Initiative, and other Palestinian factions also condemned the Israeli government’s decision to grant settlers the right to run their affairs in Al-Khalil as unprecedented and dangerous and a blow to the signed agreements. The Palestinian Authority (PA) Continues to arrest ‘Issa Isma’il ‘Amr (39), Coordinator of Youth against Settlements in Hebron, on grounds of expressing his opinion on Facebook. On Wednesday, 06 September 2017, the Public Prosecution accused him of inciting racial feuds according to Article (150) of the 1960 Penal Code. 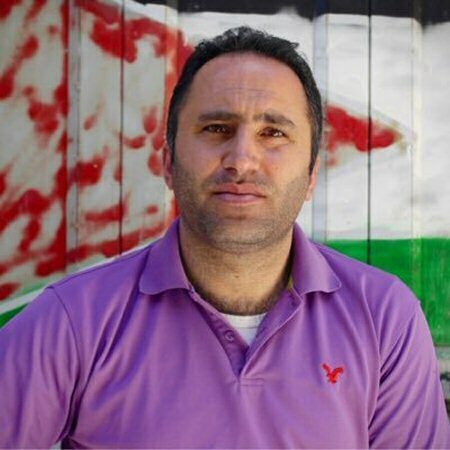 According to the Palestinian Center for Human Rights (PCHR’s) follow-up, on 03 September 2017, Human Rights Activist ‘Amr was summoned by the Preventive Security Service (PSS) after he criticized in a Facebook post the arrest of journalist Ayman Na’im al-Qawasmah and called for applying the rule of law. He also denounced the threats against journalists, aiming at abstaining them from publishing, promising he will document all violations. PCHR condemns the continued detention of ‘Amr and emphasizes that his post is part of the freedom of opinion and expression according to the PA’s binding international standards. PCHR emphasizes that arrest of ‘Amr and Qawasmeh is part of a systematic campaign by the PA to silence the counter opinion. This campaign includes arresting journalists and opinion-makers and enacting the arbitrary “Electronic Crimes Law”, which violates and undermines not only the freedom of expression but the most basic standards of justice and human rights. PCHR denounces that the Public Prosecution filed a case against ‘Amr on charges of “inciting racial feuds” although his statement did not violate the right to criticism. Thus, the criminalization scope of this article extended to affect journalists and opinion-makers. PCHR also condemns the restrictions imposed on the freedom of opinion in the West Bank in a way where calling for the rule of law has become a crime leading to arrest. PCHR renewed its refusal of the detention pending investigation on grounds of opinion cases and of automatically detaining the accused person in such cases. This violates the presumption of innocence and exposes the person to imprisonment, degradation and hindering his interests for mere suspicion, and so the freedom of expression would be undermined. PCHR reminds that detention pending investigation was legalized to protect the investigation into dangerous cases, fearing that the accused person would flee or tamper with evidence. In opinion cases, both concerns are not usually available. In light of the above, PCHR calls upon the PA to release ‘Amr and respect the rule of law and its obligations according to the Palestinian Basic Law and International Covenant on Civil and Political Rights. PCHR also calls upon the local and international authorities to intervene in order to stop this vicious attack against the freedom of expression, aiming at silencing each antagonist and critic. The Israeli occupation authorities continue to turn down applications for work permits by human rights NGOs staff members. Dozens of human rights researchers and advocates have had their applications for work permits rejected over recent months. A senior relief officer said the humanitarian situation is expected to take a turn for the worse due to the ban. Another worker who arrived in Israel last June said the Israeli authorities have refused to grant her a work permit. A director of operations working for a prominent human rights organization is expected to pop in the occupied West Bank in the next few weeks. Since the start of 2017 the Israeli Knesset (parliament) approved a ban against foreign workers who support the anti-Israel boycott movement. The Israeli Army’s Spokesperson Unit announced that the Head of the Central Command, Major General Roni Numa, signed a military order establishing a municipal services administration for the Jewish settlers in Hebron. The order was signed following administrative work by the Military Advocate General, the Civil Administration, the Ministry of Defense, the Ministry of Justice and the Ministry of the Interior. It appears that the order does not create a new local authority or a new community within a regional authority, but rather a settler body with a certain degree of administrative power. Needless to say, this body will not include any Palestinian representation. We are currently trying to obtain the military order and the legal opinion leading to it, in order to be able to further understand the implications of this development. 1) Although the settlers already treat specific areas in the city as their own, this split in local governance formalizes the apartheid system in Hebron, with the approval of Minister of Defense Lieberman. 2) It is still unclear whether the new “municipal services administration” will have authority on infrastructure in the area, but if so, this would constitute a violation of the Hebron Protocol from 1997, according to which the responsibility and authority over infrastructure are in the hands of the Palestinians. 3) We can assume that the establishment of the “municipal services administration” will lead to the handling of budgets directly by the settlers, rather than by the Civil Administration, something which is also likely to result in less transparency in fund allocation. In its weekly report On Israeli Human Rights Violations in the Occupied Palestinian Territories for the week of 24 – 29 August 2017, the Palestinian Center for Human Rights (PCHR) found that Israeli forces continued systematic crimes in the occupied Palestinian territories. During the reporting period, Israeli forces wounded 7 Palestinian civilians, including 3 children, in the West Bank and Gaza Strip. Five of them, including 2 children, were wounded in the West Bank, and the 2 others, including a child, were wounded in the Gaza Strip. Meanwhile, Israeli forces in the Gaza Strip continued to chase the Palestinian fishermen in the sea. Israeli forces conducted 39 incursions into Palestinian communities in the West Bank. 50 civilians, including 10 children and a woman, were abducted in the West Bank. Eighteen of them, including 3 children and a woman, were abducted in Jerusalem. 2 Palestinian civilians were abducted at the checkpoints in the West Bank. In the West Bank, on 25 August 2017, Israeli forces wounded 3 civilians, including a child, with rubber-coated metal bullets during Kafr Qaddoum protest, northeast of qalqilya, against the closure of the eastern entrance to the village since the beginning of al-Aqsa Intifada with an iron gate. On 29 August 2017, two Palestinian civilians, including a child, were wounded with bullets when Israeli forces moved into Nablus to accompany dozens of settlers while entering “Josef Tomb” in the eastern side of the city to perform religious rituals. A number of children and young men gathered at the entrance to Balatah refugee camp and threw stones and empty bottles at the Israeli vehicles. The Israeli soldiers in response opened fire at them, wounding both of them. Israeli forces continued efforts to create Jewish majority in occupied East Jerusalem. A Jewish synagogue was opened in Silwan village. Students of al-Aqsa Sharia School were denied access to their school in the mosque under the pretext of receiving the Palestinian curriculum books. In the context of creating a Jewish majority in the City, On 24 August 2017, Israeli Ministers, members of Knesset and Rabbis opened a Jewish synagogue in the neighborhood of Batn Al-Hawa in Silwan south of occupied Jerusalem. Zuhair al-Rajabi, Head of Batn al-Hawa neibourhood Committee, said that the Israeli Minister of Agriculture, Uri Ariel, and Members of the Knesset as well as Rabbis and nearly 300 settlers opened a synagogue in Batn Al-Hawa in “Abu Nab” building which was seized in 2015. They brought two books from the Torah inside the property. It should be mentioned that the building is comprised of 5 apartments and characterized by its distinctive character. Thus, settlement organizations claim that it was a synagogue for the Jews of Yemen in the late 19th century and began to demand the evacuation of the property since 2004. The property falls within the “Ateerat Cohanim” scheme to control the 5200 square meters from the “Batn Al-Hawa” neighborhood, claiming it belongs to Jews from Yemen since 1881. As part of targeting educational institutions, on 24 August 2017, the Israeli police denied students of al-Aqsa Sharia School access to their school in the Mosque, under the pretext of receiving book of the Palestinian curriculum with the Palestinian flag printed on which. They abducted Sheikh Najeh Bkeirat, Director of the Sharia Education in the Islamic Endowments “Aqwqa”, and Robin Muhsen, Seceterait at al-Qsa School. They also took the ID card of teacher Nader al-Afghani and summoned him for investigation at al-Qeshlah police station in Old Jerusalem. Al-Afghani teaches 100 female students at al-Aqsa Sharia School for Girls and 150 male students in al-Aqsa Sharia School for Boys from the 7th to 12th grade. As part of targeting the NGOs, on 28 August 2017, Israeli forces raided Yabus Cultural Center on al-Zahraa’ Street and banned a research seminar. The Israeli Intelligence Service surrounded the Center an hour before the scheduled time for the seminar. They took the ID cards of the participants, forced them to leave the hall, and prevented anyone from entering it. The Israeli forces then fixed a decision signed by the Israeli Police Commander in Jerusalem saying that the ban is based on the ” 2016 Anti-Terrorism Law” under the pretext that Hamas Movement organizes the seminar. “At approximately 03:00 on Thursday, 24 August 2017, my sons and I were in the living room as we were expecting the Israeli forces to come to our house after we knew they were in the village. My son, Ahmed, has always been in permanent confrontation with the Israeli forces, so his arrest was expected. The door was suddenly opened as the soldiers broke it with a special machine without knocking on the door. Israeli forces continued to target the Palestinian fishermen in the Gaza Strip Sea. Seven shooting incidents were documented against Palestinian fishing boats in the northern Gaza Strip. In the Gaza Strip, border areas witnessed protests against the unjust closure imposed on the Gaza population. During these protests, Israeli forces used force against the protestors, particularly when dispersing them. As a result, 2 Palestinian civilians, including a child, were wounded after being directly hit with tear gas canisters. Concerning attacks on fishermen, on 24 August 2017, Israeli gunboats sporadically opened fire at and chased Palestinian fishing boats, northwest of Beit Lahia village, north of the Gaza Strip. The shooting recurred in the abovementioned area on 26, 27, and 28 August 2017. On 26 August 2017, Israeli gunboats sporadically opened fire at the Palestinian fishing boats, west of al-Soudaniya area, west of Jabalia in the northern Gaza Strip. The shooting recurred in the same area on 27 August 2017. Also this week, Israeli forces abducted a Palestinian worker at Beit Hanoun “Erez” crossing in the northern Gaza Strip. Israeli forces continued their pattern of attacking the weekly demonstrations held to protest against the annexation wall and settlement activities. At approximately 13:30 on Friday, 25 August 2017, Palestinian civilians and International activists organized a protest in the center of Kufor Qaddoum village, northeast of Qalqiliyah. They made their way to the eastern entrance to the village in protest against closing that entrance since the beginning of al-Aqsa Intifada with an iron gate. When the protesters approached the entrance, the Israeli forces fired metal bullets, tear gas canisters and sound bombs at them. As a result, a 37-year-old civilian sustained a metal bullet wound to the head; an 18-year-old civilian sustained a metal bullet wound to the abdomen; and an 8-year-old child sustained a metal bullet wound to the left leg. Following the Friday prayer, dozens of Palestinian civilians and Israeli and international human rights defenders organized protests in Bil’in and Ni’lin villages, west of Ramallah; al-Nabi Saleh village, northwest of the city. Israeli forces forcibly dispersed the protesters, firing live and metal bullets, tear gas canisters and sound bombs. They also chased protesters into olive fields and between the houses. As a result, some of the protesters suffered tear gas inhalation while others sustained bruises as Israeli soldiers beat them up. At approximately 16:00 on the same Friday, 25 August 2017, dozens of Palestinian civilians gathered near the border fence between the Gaza Strip and Israel, east of Jabalia in the northern Gaza Strip, in response to calls for protests in the border area against the Israeli measures in occupied Jerusalem. A number of the young men set fire to tires and threw stones at the Israeli forces stationed along the abovementioned border fence. The soldiers fired live bullets, tear gas canisters and rubber-coated metal bullets at them. The clashes continued until approximately 20:00 on the same day. As a result, a 22-year-old civilian, from Jabalia, was hit with a tear gas canister to the back; and a 15-year-old child, from al-Shija’iyah neighborhood in Gaza, was hit with a tear gas canister to the back. The wounded civilians were transferred to the Indonesian Hospital in Jabalia. Their injuries were classified as minor. Due to the number and severity of Israeli human rights violations this week, the PCHR made several recommendations to the international community. Among these were a recommendation that the European Union apply human rights standards embedded in the EU-Israel Association Agreement and to respect its obligations under the European Convention on Human Rights when dealing with Israel. In addition, the PCHR calls upon the international community, especially states that import Israeli weapons and military services, to meet their moral and legal responsibility not to allow Israel to use the offensive in Gaza to test new weapons and not accept training services based on the field experience in Gaza in order to avoid turning Palestinian civilians in Gaza into testing objects for Israeli weapons and military tactics. On Saturday, 5 August 2017, at approximately 9:00 P.M., A.J., 15, and M.J., 14, both from the Jaber neighborhood in Hebron, were on their way to the local grocery store when they noticed a group of some ten settler youths coming towards them. 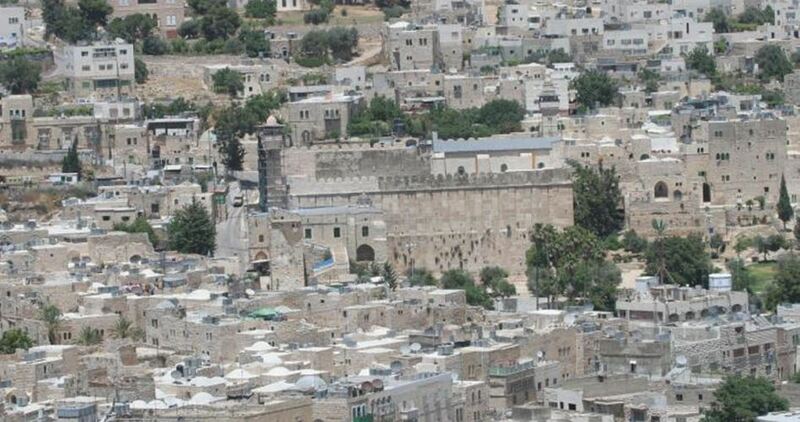 The settlers were coming from the street known as the Worshipers’ Route, which connects the settlement of Kiryat Arba with al-Haram al-Ibrahimi/the Tomb of the Patriarchs. About seven soldiers were stationed at the time at a nearby post, which is manned only on weekends. M. and I went to the local grocery store to buy some snacks and some things for the house. On our way there, we saw a group of about ten settlers between the ages of ten and thirteen coming from the direction of the Worshipers’ Route. They started teasing us and swearing at us. There were soldiers nearby who could see what was going on. We swore back at them and then the settlers came closer and attacked us. When we tried to defend ourselves, the soldiers intervened and assaulted us. They knocked us to the ground and twisted our arms behind our backs. By then, some neighborhood residents had come there. A few older residents tried to persuade the soldiers to let us go. The soldiers let M. go but kept me. One soldier sat on my back, pressing me down with his knee pad, while another handcuffed me. I cried out in pain because the first soldier was pressing my face into the road, and the second twisted my arm behind my back. Neighborhood residents gathered at the scene and tried to persuade the soldiers to let A. go, too. A fight ensued in which the settlers and residents threw stones at each other. In response, soldiers fired teargas and stun grenades at the Palestinians. A.J. was arrested and taken to the police station at Kiryat Arba, where he was interrogated and accused of throwing stones at settlers. He denied the allegations and was released several hours later. Meanwhile, the clashes between the settlers and the neighborhood residents continued. Two residents, M.J. and ‘A.J., were injured.The latter starting filming the incident on his mobile phone and was assaulted by settlers. I took my mobile phone and started filming what was going on. Then the settlers attacked me, so I went to the building of my neighbour, M.J. He was standing at the top of the staircase in the building. I went up and joined him, and kept filming. As I was doing that, some settler kids between the ages of roughly ten to thirteen swore at me and hit me. I swore back at them until a soldier took them away and told M. and me to go inside. We ignored him and I kept on filming. M. phoned the DCO, the Red Cross, and other organizations so they would come and intervene. More soldiers arrived but they didn’t manage to make the settlers stop attacking the residents. At some point, the children left. Two settlers who looked to be in their twenties came over to us and started throwing stones at us. One stone hit me in the nose and another in the hand. My nose started bleeding. M. was hit by a stone in the head and started bleeding badly. Two settlers in their twenties attacked us. They started hitting and kicking ‘A. Two soldiers intervened and took them away. After a few seconds, dozens of settlers started throwing stones at ‘A. and at me. ‘A. was hit in the nose by a stone and started bleeding. He was also hit in the hand. I was hit in the back of the head by a stone and started bleeding a lot. We went inside for a while, but the bleeding was bad so I went outside to ask the soldiers for help. They ignored me, and the settlers started attacking me again. I went from soldier to soldier and also asked several police officers who were there for help, but they all ignored me and told me to go away. It was only later, when another settler attacked M., that the soldiers came to M.’s aid and led him over to a military jeep, where he was told to wait. He found his neighbour, also waiting there with an injured hand. The two men waited for approximately an hour, with no first aid offered them, until they were taken by ambulance to hospital. Such incidents are a routine matter in Hebron. Over the years, B’Tselem has documented many instances in which Israeli soldiers stood by while settlers attacked Palestinians. In violation of its duty obligations as the occupying power, the Israeli military behaves as though it were responsible for the safety of settlers only, rather than keeping the peace, and takes no action against settlers who act violently towards Palestinians. In this incident, yet again, the perpetrators were not held accountable while the victim, a 15-year-old Palestinian, was violently detained and interrogated.